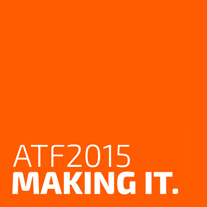 In the final session of ATF2015, delegates voiced a motion of no confidence in the actions of the Federal government. We, the undersigned delegates of ATF2015, voice a motion of no confidence in the actions and ideology of the Federal government currently lead by Prime Minister Anthony Abbott. This motion is voiced due to our extreme concerns regarding the widespread and devastating attacks on our social infrastructure, and the sustained cuts upon the very underpinning of Australian civil society. In voicing this motion we, the undersigned delegates of ATF2015, are not merely motivated by the widespread cuts to national investment in the arts and culture. Rather we are compelled to respond by our urgent concerns about the ideologically-driven erosion of our collective social fabric, which, unless checked, will radically reduce our capacity to hope, dream, imagine, build and share. The irreparable social and cultural cost to the future of this nation will be felt for generations and must be urgently resisted. © Copyright Australian Theatre Forum 2015. Site by Christom.